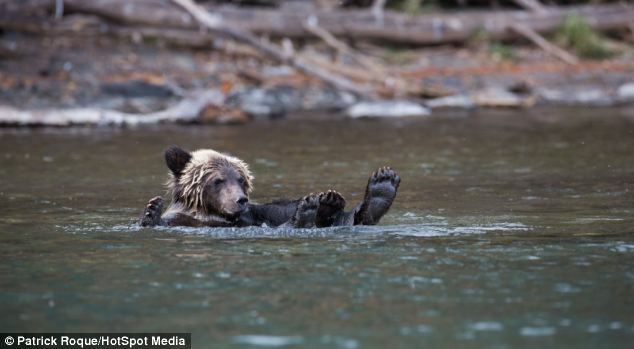 Bear cub took a dip in the river and reclined backwards raising his feet in the air. Surreal moment was caught on camera in British Columbia by photographer Patrick Roque. 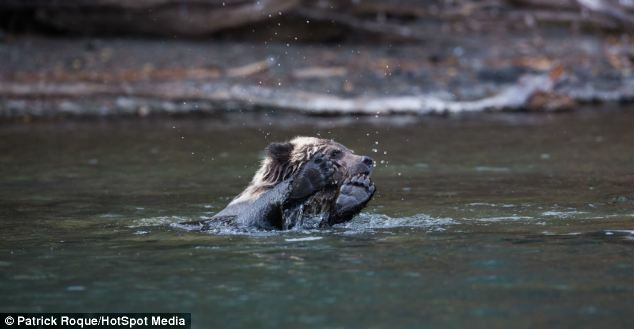 Canadian managed to get within just 150 metres of the grizzly bears. Mr Roque of Alberta said: 'This particular cub had just finished wrestling with one of his siblings and suddenly decided to sit and rest. The 50-year-old managed to get just 150 metres from the family of bears as he sat in a small boat and spent approximately four hours taking pictures of them while they fished for their dinner. 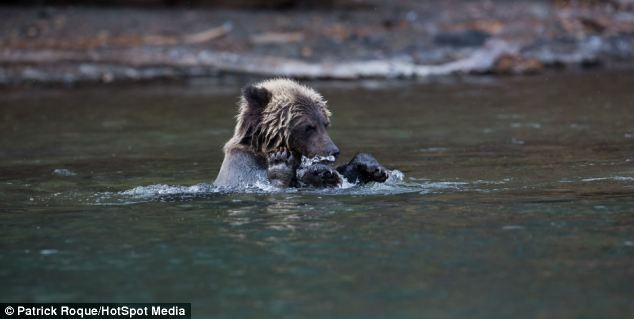 He added: 'I felt amused and entertained while I photographed the cub. But, more importantly, I felt extremely fortunate to be able to witness and document the moment. 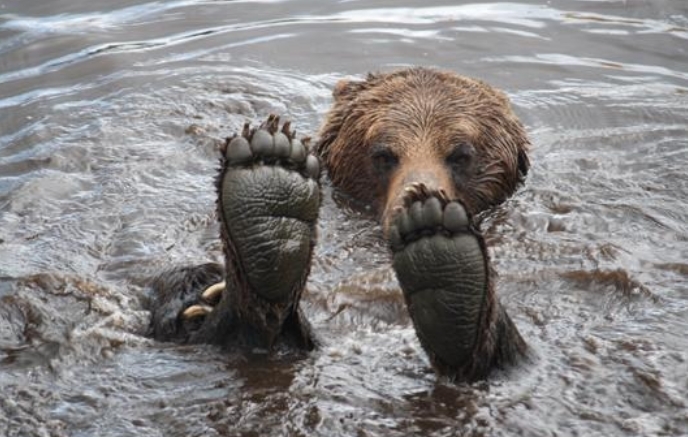 The grizzly bear is listed as threatened in the United States and endangered in parts of Canada. 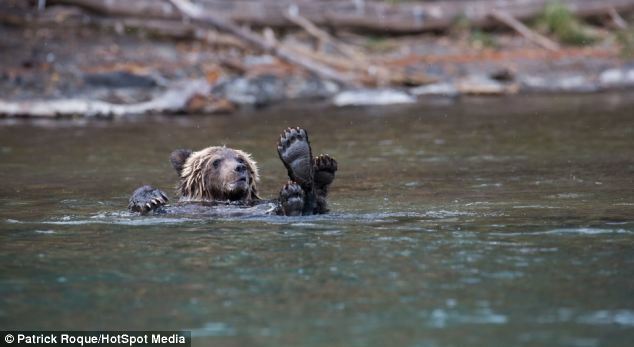 Responses to "Life Is Good: Bear Cub Reclining In The Water With His Paws Raised In The Air "